888poker’s Fall super-sized online poker series XL Eclipse gets underway on September 13 and offers over $2.8 million in guarantees over the course of 34 events. Two of the most popular events on the schedule bookend the entire online festival. Event #1, the Opening Event offers a $100,000 guarantee for only a $109 buy-in. Then at the end of the 11 days, on September 23, the XL Eclipse Main Event boasts a $1,000,000 guarantee for a $1,050 buy-in. The Opening Event offers max value as players have traditionally piled into the registration lobby with an eye to taking down the first XL title of the fall. On the other end, players who are hoping to have a career-defining victory will be firing in the Main Event. The tournament is almost certainly going to award the top two finishers a six-figure score. 888poker is helping a large number of their players into both tournaments with satellite structures to fit every bankroll. Satellite for the $100,000 Opening Event starting for as little as $0.05. The satellite tree to earn the $109 ticket to Event #1 climbs through the ranks of the micros. There are three total tournament steps. Should a player be victorious in all of them, they earn a crack at $100,000 for 1/10,000,000th of the cost. There additional satellite tournaments that can be achieved through 888poker’s standard Step series to Live Events & Major Tournaments that start for as little as $0.01. The Main Event has a similar “Sub-Satellite” path that allows people win their way into the $1 million prize pool at a fraction of the cost. While 888poker has set up these paths specifically for these two major events, players can climb the satellite tree in a number of ways in order to earn tickets to a variety of events. If a player does not want to start at the bottom, they certainly don’t have to. Registration is open for players to buy their way into any Sub-Satellite or Step along the way. XL Eclipse Sub-Satellites, as well as the standard Satellite Steps, are running on a regular schedule every day. They can be found in both the XL Eclipse and Satellites tab in the 888poker client. 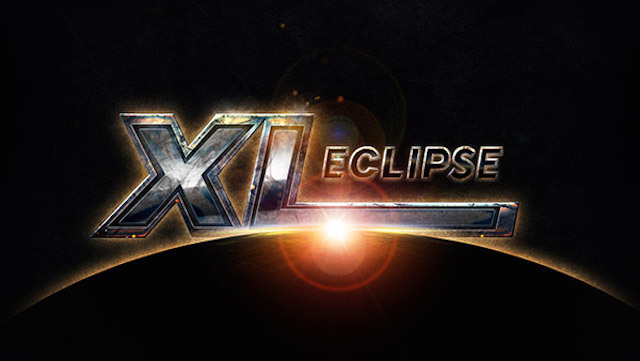 888poker’s XL Eclipse 34-event series runs from September 13-23 with registration for every event available now.